We are still here in Addis Ababa. We have survived the rainy season and the sky is blue again. Many of you will have seen the news about the famine in the south east of Ethiopia where it borders Sudan and Kenya. Sitting in Addis, it is as difficult to understand the whole story here as it is at home. We pick up the news and some of the debate from the BBC when the internet is working. When we travelled to the south recently, everywhere looked really fertile and verdant as it was just after the rains. But at work I do hear about problems with food-aid delivery and families that can’t feed their children. As recipients of Global Fund money, my organisation has to have pristine financial arrangements. The management audit letter we received recently could have been one found in any PCT. By the way do PCTs still exist? The only difference was that they were querying why a goat had been bought. I recently found myself on an appointments committee for an internal auditor – something I have managed to avoid in the UK. Amazingly my interviewing instincts rose to the fore. I was delighted that my first choice was the same as the finance director’s. It did help that the interviews were in English. So, another country another culture but actually much is the same. 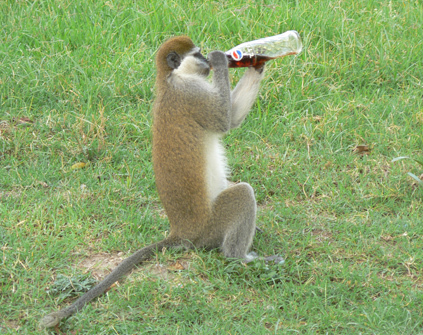 We took a few days off to travel north to trek in the Simien mountains. Ethiopia lies in the East African Rift Valley so much of the north and central areas are hilly in stark contrast to the desert areas bordering Sudan and Somalia. We were walking at three to four thousand metres and were surprised that it was still scattered with villages, and, wherever we went, small children were keeping an eye on the cattle and sheep. They said they went to school but I wasn’t really convinced. Walking into a BBC crew filming the gelada baboons was quite surreal. We had just stopped to put on our macks as it was raining when we heard a very posh voice asking if we could move please as they were trying to film the baboons running down that particular hill. 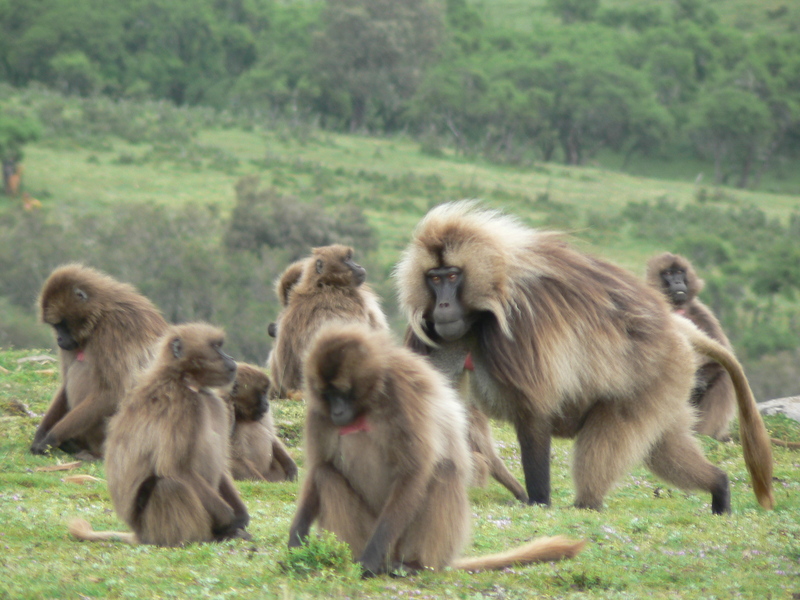 If you ever see a documentary on these baboons in the Simiens we were there, and we saw the locals on the other side of the hill ‘encouraging’ the baboons to move. One of my areas of work is developing a volunteers’ strategy. Not international volunteers but local volunteers. PLHIV associations are similar to charitable organisations in the UK so their boards are all volunteers and most of the programmes workers are also volunteers. However they do get expenses. The latter get 206 birr a month for travel. That is £7.60. In the focus groups they tell me they do it for humanitarian reasons. However when I asked if they also had paid work, they said it was hard to get work as they were HIV+. So what is a volunteer? I really enjoy the focus groups: however formal I try to make them, we have to have a coffee ceremony, and they usually end with music and dancing. The highlight last week was meeting a 22-year-old woman who finished school at grade 6 but was carrying a beautiful, chubby smiling baby who everyone proudly told me was HIV negative. Am I making any difference? Not an unusual question for anyone in public health. I’ve been asking it my entire career. I’d better get back to work and make sure that I am.